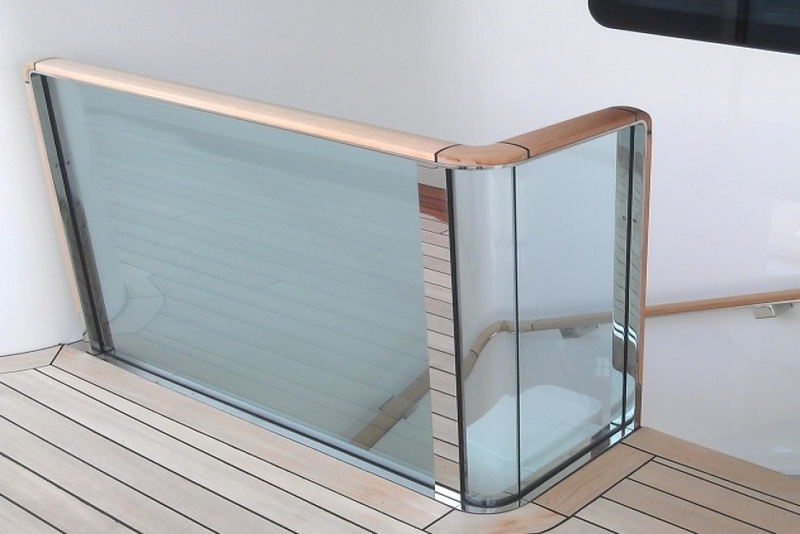 Beekmans has an excellent reputation for delivering stainless steel products with glass panels for the exteriors of superyachts, including railings, windshields and windbreakers. Glass production normally includes toughening of the glass, and there are very little parties in Europe with the facilities to do this type of toughening. It is essential within the superyacht industry to deliver the very best products and service to our clients. For this reason Beekmans has a chemical toughening bath for glass. This gives maximum control over quality and deliverytime. The chemical toughening bath will also enable Beekmans to respond to the increasingly stringent specifications from class societies with regards to toughening and strength calculations.